Blowout Sale! 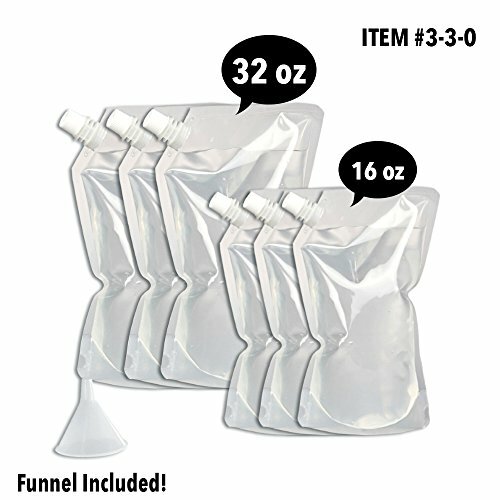 Save 60% on the Concealable And Reusable Cruise Flask Kit - Sneak Alcohol Anywhere - 3 x 32 oz + 3 x 16 oz + 1 funnel by Cruise Flask® at Foom App. MPN: MORR330. Hurry! Limited time offer. Offer valid only while supplies last. SNEAK ALCOHOL ANYWHERE, AND SAY NO TO OVERPRICED DRINKS! GOING ON A CRUISE? Do you want to avoid the outrageous cost of Alcoholic drinks on board?